X-Rite ColorMunki Display | Beau Photo Supplies Inc.
With its easy-to-use, wizard-driven software, X-Rite ColorMunki Display offers everything you could possibly need to get you to a brilliantly-calibrated display or projector while helping you stay focused on doing what you love. Plus, with X-Rite ColorTRUE, a free mobile app, you can even calibrate your iOS and Android mobile devices. 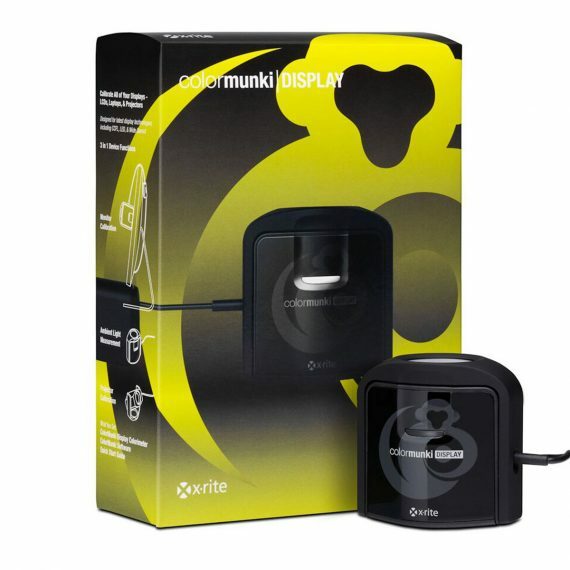 For Color Perfectionists seeking simplicity, the ColorMunki Display will absolutely amaze you. And you don’t need to be a color expert to benefit from ColorMunki Display.